There is much chatter re what will happen to the pardon power once President Obama leaves office. We feel it is time that we go ahead and jump ahead of the bunch and launch our own bold predictions for the pardon power in the Trump administration. 1. President Trump will take so little interest in clemency, he will not even lift a finger to appoint his own U.S. Pardon Attorney. He will just keep Obama's - if he can - the same way Obama kept George W. Bush's Pardon Attorney ... until he (the Pardon Attorney) had to be let go. 2. 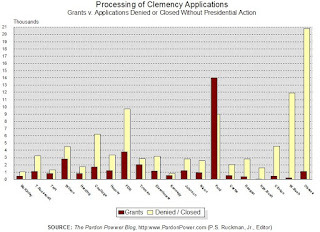 If Trump musters up enough interest in clemency to send a policy memo to the Office of the Pardon Attorney - stating goals and guiding principles - it will come late in the term and will be a near carbon copy of memos sent by previous administrations - as did President Obama. 3. 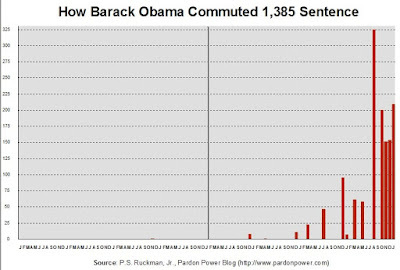 Donald Trump will wait, seemingly forever, to grant the first pardon or commutation of sentence of his administration - as did President Obama. 4. Even after he grants the first pardon / commutation of his administration, Trump will go for months and months, and grant none at all, as if he has to start all over again, and gain courage momentum, or something - as did President Obama. 5. 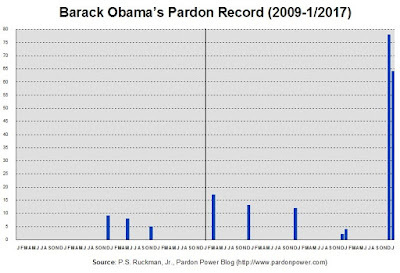 When Trump gets around to using the pardon power, he will generally wait until Christmas / the Holiday Season and / or the end of the term - just like President Obama. 6. Trump will easily deep-six the vast majority of applications that are filed during his administration - as did President Obama. Actually we believe just the opposite as the author of this article. President Trump will take the power of Pardon very seriously and will take action(s) in short order. This means within a couple of months and not 6 months or even years! The Pardons will be for qualified citizens "deserving of the Pardons" and for ones who have already served out their sentences and paid restitutions. Watch!